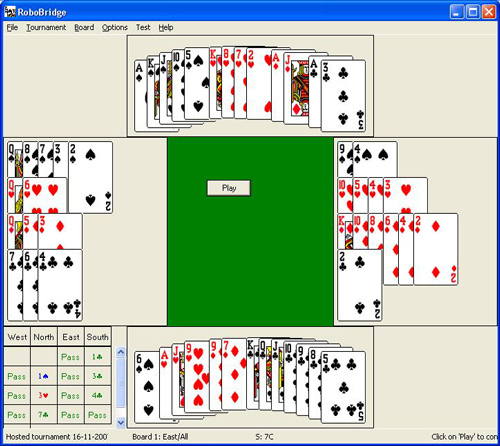 RoboBridge is free computer bridge software that simulates three human bridge players. It allows you to play some boards whenever you have time. The robots provide a very high level of play, so you will be trained to always play your best bridge. RoboBridge has participated many times in the world championship computerbridge. A 2nd place in the indivdual event showed the great ability to play well with any partner. 1. Click on the install tab. 2. Install the RoboBridge software. Up to this moment 0 persons have registered. In total they have played 0 boards.